Our day pupils benefit from spending their nights and weekends with their families whilst also having opportunities to extend their time at school to suit your family's needs and make the most of our activities on offer. On Monday to Friday, students need to arrive about 8:30 am, ready for registration at 8.40 am. School finishes at 4 pm, but with activities and supervised prep, students often stay until 5 pm and beyond. From years 9-13, students also attend on Saturdays from 8.35 am – 12.10 pm; this enables us to have longer holidays than most schools, which allows parents to avoid the peak travel fees. Although it might seem like too much, most families find that it isn’t all that different than the typical Saturday activities most families participate in anyhow! We have incorporated flexible and comprehensive wrap-around childcare provision for our pupils from reception to year 6 for families who need it. With healthy meal options, it even makes getting ready in the morning and the hustle and bustle of arriving home after school less stressful. 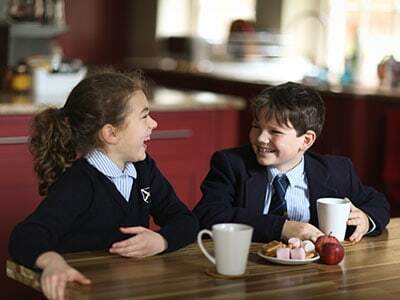 Breakfast Club starts from 7.45am for £1.80 per child, per day. Supper Club goes until 6 pm for £2.20 per child, per day. 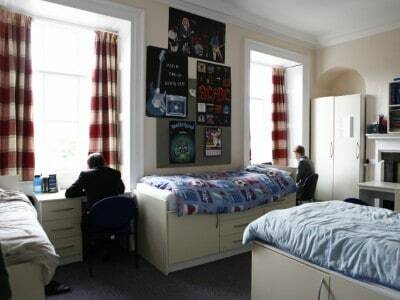 In the senior school all students are assigned to a boarding house so they can join the boarders before school, during break and lunchtime, and after school. They can enjoy snacks, activities with their friends and get help with prep in a supervised but family-like home. Being in Wells city centre can make parking slightly more challenging than we would like, but we have designated drop off and pick up points around the school depending on your child’s year so you can do the school run safely. Our bus service allows families an easy, safe alternative to get to school. We offer discounts on our bus service for families with more than one child: families with two children receive a 25% discount and families with three or more children receive a 50% discount. Our bus routes are based on our current users’ needs so please contact us if you would like us to to consider a new stop to an existing route, and we’ll do our best to accommodate your request. Click here for our current bus timetable. We realise that Wells is a home away from home for our boarders and recognise how important it is to make us feel like a family. Birthday parties and chats with the matron over a cup of tea (among many other things!) help our boarders feel right at home. 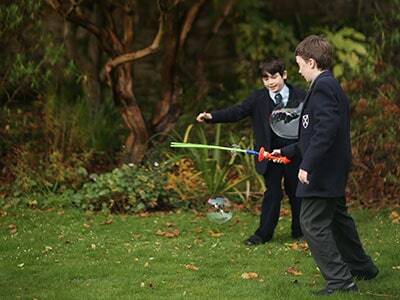 We offer boarding for junior school pupils in years 4 to 6 (aged 8-11) in the beautiful house and grounds of Beaumont House. It is a priority to create a warm, caring family environment for this age range. The children are very well looked after by a resident family – community living lies at the heart of their daily lives. They all eat breakfast and most evening meals together, the house is extremely spacious and includes excellent facilities, including separate rooms for games, music and relaxing. The house capacity is 14, which ensures a lovely family feel and yet is large enough for the children to form lots of strong friendships. We are very proud of Beaumont House, and we strongly recommend that you come and take a look for yourself! Each house consists of around 20 to 30 boarding pupils, which is large enough to ensure everyone has a good balance of friends but small enough that everyone knows everyone well. We find this balance helps strengthen our family feeling. Each boarding house has a resident house parent and assistant (both are often joined by their families and pets! ), along with a non-resident matron and a number of staff. The house teams are vital to running the houses smoothly, but more importantly, they give a continuity to the boarders’ lives. We find boarders form strong relationships with our house teams, which enables them to have an adult they trust on hand to help with anything and everything! 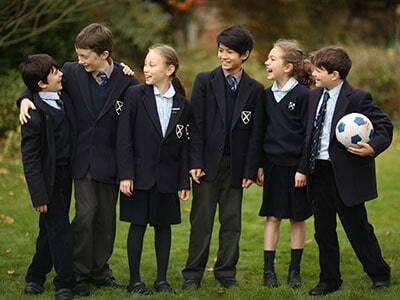 The boarding family is complemented and strengthened by day pupil members who are all assigned to houses, making them vibrant and exciting communities. All of the boarding houses at Wells are beautiful medieval and eighteenth century buildings with lovely British gardens, stimulating communal areas and cosy rooms, in which each boarder has their own space with a locking cupboard for valuables. Whilst each of the houses is gifted with quirky and unique qualities befitting historic houses, they also have all the modern conveniences a boarder would expect – including wifi! Each of our boarding houses is the focal point for group identity, friendship and relaxation, with healthy rivalries between houses in sport, drama, public speaking and other academic achievement. We organise weekend trips ranging from cinema, theatre and concert visits to adventure activities, ten-pin bowling and shopping in Bath and Bristol. From year 7, small groups of pupils may go into Wells unaccompanied. The city centre is just a few minutes’ walk from the school, with numerous shops, banks, cafes and a twice-weekly market. Many pupils and parents find boarding useful as it allows pupils the opportunity to participate in after-school clubs, keep up with homework, strengthen friendships and avoid a late journey home. Boarding also helps them gain a sense of personal responsibility, as they are given freedom within sensible constraints. We welcome students from overseas for whom English is an additional language (EAL) and value the contribution you make to school life. Our students are a stimulating mix of talents and backgrounds – in 2015, 22% of the students in the senior school were from overseas, coming from 16 different countries. 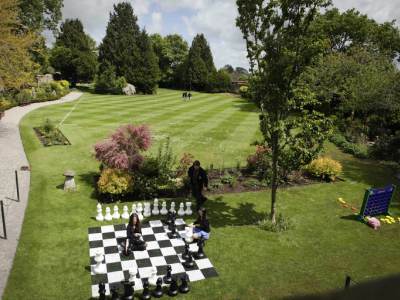 Our international community is large enough so you won't feel isolated, but nonetheless small enough for us to remain a quintessential British boarding school. Good English language support is crucial to the success of overseas students at Wells, and we are able to offer you a developed programme to suit you and your abilities, which enables you to flourish and reach your highest potential. We recognise that choosing a school far away from home is an exciting opportunity but a potentially daunting task. We hope our website will help answer your questions, but our admissions team are here to advise you on your options so please contact us on on 01749 834 252 or [email protected], and we’ll be happy to help. Our international programme is split into our EAL programme and our WISC Pre-GCSE and Pre-A-Level programmes, which are detailed below. We will advise you when you apply as to where we feel you will be best suited, which we determine by your level of English and your year group. If your English is at an appropriate level, we recommend you join our main school on our EAL Programme. This programme starts with our complimentary 10 day International Preparatory Course so straightaway you have the strategies and techniques you need to help you quickly settle into a new life of study in the UK and know what to expect. We then create a tailor-made programme of language support for you, which we review each term, to complement the rest of your studies and activities to help enable you to flourish and reach your highest potential. 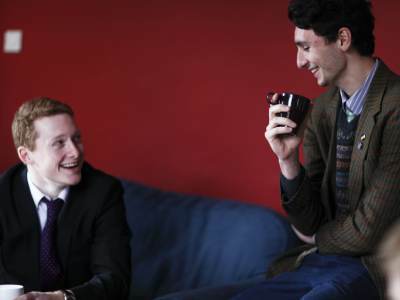 Otherwise, life is no different for an international student than for those from the UK – you will share the same boarding houses and co-curricular opportunities, and every student has access to the pastoral care they need. Teachers within your mainstream classes will use strategies for differentiation to better support you. You will have opportunities for subject specific support, usually in larger groups or seminar sessions, taught by English Language teaching specialists. You will have access to consultations on an ad hoc basis for specific pieces of work and/or personal statement writing. We can provide support in preparation for GCSE or A level examination in your native language (in cases where we can offer the examination) and for external examinations, such as IELTS, CPE, CAE, FCE, PET or IGCSE in English as a Second Language. If required, you will receive explicit teaching of English as an Additional Language by English Language teaching specialists or subject-specific support in either small groups or one-to-one. WISC is the perfect starting place for overseas students (14-16 years old) who want to gain their first experience of a traditional British school education but need to improve their level of English before enrolling onto a mainstream programme of study. On WISC, you will have a programme concentrating on intensive English language development with grounding in vocabulary and language conventions for a range of academic subjects taught through Content and Language Integrated Learning (CLIL). With our international reputation for music, we also can provide a highly specialised route for overseas music students who are looking to enter a music conservatoire in the future. Our aim is to prepare students with the knowledge, skills and cultural awareness they will need to succeed. We offer a rolling programme taught in six blocks, which includes English as a Second Language, Maths, Science, Humanities, Literature, Cookery and PSHE. 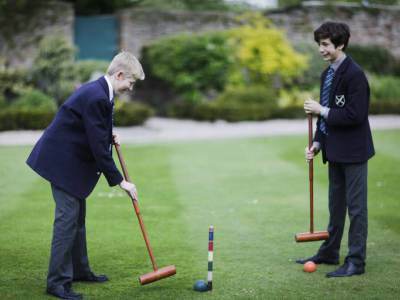 All the students are fully integrated within our boarding houses and participate in some mainstream classes, including co-curricular sports and activities. We review each student’s individual progress each term, and facilitate their phased move onto our EAL programme once they are ready. We offer a one year programme designed to prepare students for life in our Sixth Form. The programme includes IGCSEs in Maths, Combined Science, English as a Second Language and Global Perspectives as well as lessons in literature and British culture. In addition, many of our students choose to participate in the Young Enterprise Company programme. The musical community at Wells is unique as we are the only dynamic, independent school that offers specialist music provision so our musicians can develop their talents within a normal school environment. This unique combination offers benefits for musicians and non-musicians alike. 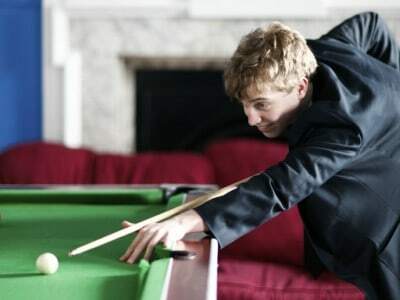 The formative years spent at Wells were vital to my progress, not just as a musician but also as a person. Musicians have wider choices that are simply not available at other specialist music schools. Being with students who have other interests will help you to maintain a perspective and become rounder and better-balanced people. This doesn’t come at the cost of your music development as you will receive a first-class, pre-professional training from teachers who are world-class musicians themselves, many of whom are active performers and teach at UK conservatories. Our musicians achieve great success both as performers and in public examinations. Even students who are not specialist musicians benefit from the exceptional musical provision – from enjoying the excellent music tuition available as a hobby to joining one of our many ensembles and being part of our ‘musically alive’ atmosphere! Please see our music section for details about what we offer and our scholarships section for how to apply. Hanging in my studio in Los Angeles is a picture of the Chapter House of Wells Cathedral. It serves to remind me where my musical journey began and where I first fell in love with music. Without those wonderful, intense, and happy years as a chorister I am certain I would not be where I am today. Choristers are at the heart of the worshipping life of the Cathedral and sing a wide repertoire of music ranging from the Renaissance period to the present day. The boys and girls usually sing separately with the Vicars Choral (the men of the choir) but occasionally come together for larger events and tours. Their background of musical and team discipline is an education far broader than most, which will last them a lifetime. 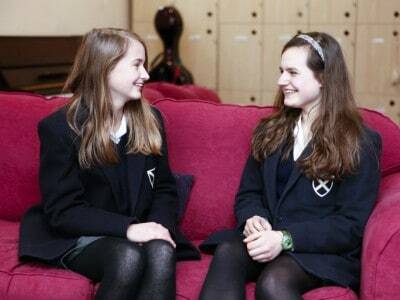 All Wells Cathedral choristers are educated at our school, which helps them to form lasting friendships and maintain a high level of education that fits alongside their chorister life. Being a chorister becomes a key part of their daily lives and identity so we are sensitive to ensure the transition runs smoothly when the time comes for them to move onto the next stage. Should they wish to continue their musical journey, our world-class music programme offers countless opportunities across disciplines. Please see our chorister section for details about what we offer choristers and our scholarship page for how to apply. 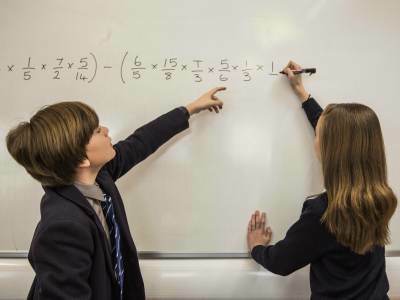 Our specialist maths scheme starts at year 7 for pupils who are gifted and talented at maths to enable them to fulfil their mathematical potential whilst experiencing a rounded education within a proper school setting. We achieve this by giving our specialists extra maths lessons (in classes consisting of only specialists) by dedicated maths teachers who inspire and stretch their abilities. We award maths scholarships worth up to 10% of tuition fees to recognise excellence, and means-tested financial assistance also may be available. To apply, you need to sign up to one of our Be a Mathematician for a Day events, which happen every term, three times a year, for pupils currently in Years 5 and 6. Please note that while these days tend to book up early, we do manage a waiting list. 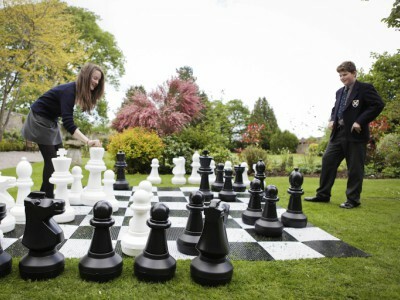 Candidates enjoy a variety of activities as a taster of the kind of specialist classes that you will experience as part of the specialist maths scheme here at Wells.